The property is home to one of the world’s finest examples of the collapse process in karstic terrain and provides outstanding scientific opportunities to study theories on the origins of cave faunas. 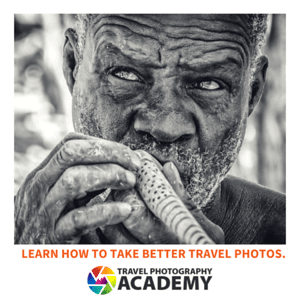 The deeply-incised canyons, wild rivers, rainforest-covered mountains, spectacular limestone pinnacles, cave passages and decorations found on the property produce dramatic landscapes and breathtaking scenery that is without rival. Not much I can say about Mulu that I haven’t said before. It is the best national park I’ve experienced on my trip and probably one of the most underrated natural attractions on Earth. If you are in the region, take the time to visit Mulu. 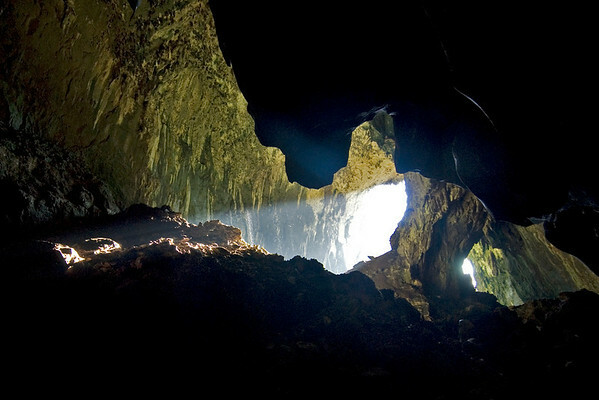 The above photo is the entrance to Deer Cave and the Sarawak Chamber, the largest in the world. Each night millions of bats stream out to the rainforest to feed. 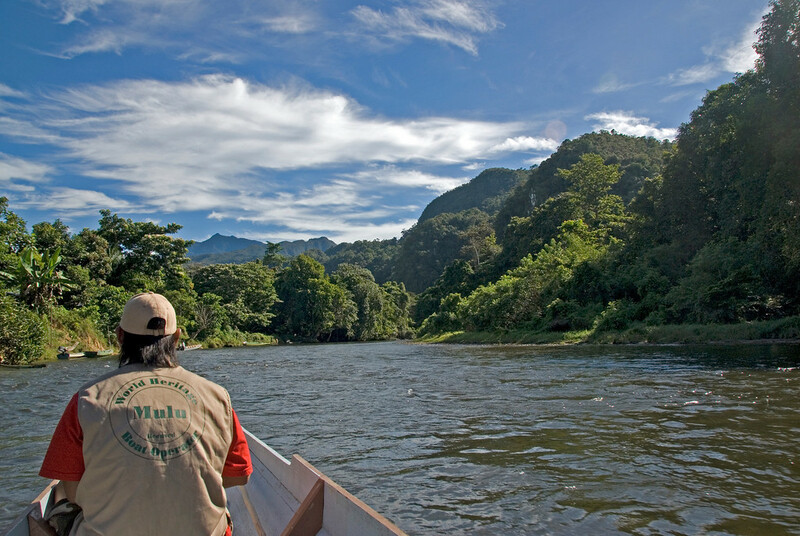 The Gunung Mulu National Park is a UNESCO World Heritage Site that was inscribed in 2000. It is a national park located in Sarawak, Malaysia. The park is considered as one of Asia’s most unique and thrilling nature destinations. It encompasses the various caves and karst formations within a mountainous, rainforest and equatorial setting. The entire area covered by the park measures at more than 528 square kilometers. And yet, there is no other national park in the world that covers as many natural marvels as this park does. For this reason, there have been many expeditions mounted to explore the natural beauty and biodiversity of this national park. 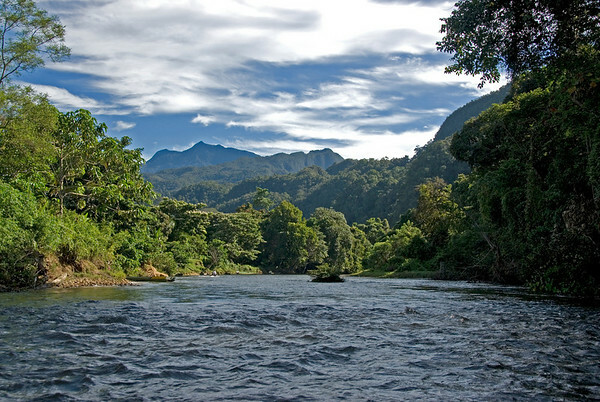 The Gunung Mulu National Park is named after Mount Mulu, which is Sarawak’s second highest peak. There are various transportation options available for anyone planning to visit the Gunung Mulu National Park. First off, you can take a flight from Miri to Mulu. The Malaysia Airlines operate daily so you can travel to Mulu via a 30-minute flight. To get to the park, you must travel by boat for three hours from Kuala Baram to Marudi. Then, you will take another commercial express boat to either Long Panai or Kuala Apoh. You will be traveling along the Tutoh River, which is a tributary of the Baram River. 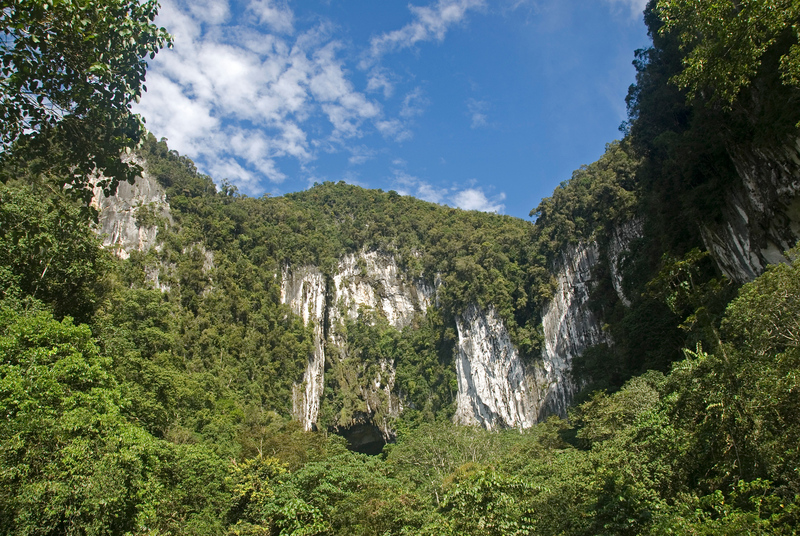 The limestone karst formations are the primary attraction in the Gunung Mulu National Park. Within these formations are enormous caves, rock pinnacles, rock cliffs, gorges and extensive cave networks. Another notable feature in the park is Mount Mulu. This is a sandstone mountain with a height of 2,376 meters. The Gunung Mulu National Park is recognized as the world’s largest known natural chamber. The cave stretches to 700 meters in length with a height of 70 meters. Many claim that the size of the chamber is equal to 40 Boeing 707s! Caves are therefore one of the most prominent sights explored by tourists who visit this national park. Among the caves that are found within the park, premises are Benart Cavern, Clearwater Cave (8th longest cave in the world as 2014), and the Cave of the Winds. Aside from the caves, the limestones found within the area are also a center of geological studies. Many researchers estimate the rocks found in the park to be around 90 million years of age. Aside from the limestone karst formations, the rich flora and fauna in the Gunung Mulu National Park are also one of the biggest draws for tourists. According to research, there are about 90 species of hornbill, 27 species of bat, and various mammals including gibbons, squirrels, shrews, bearded pig, Bornean tarsier, small barking deer, mouse deer, and the long-tailed macaque that live within the caves and the park premises. Meanwhile, the plant species in the Gunung Mulu National Park are just as diverse. Within the forest live flowering plants, trees, and fungi. The variety in soil types, geology and topography have made it possible for various plant species to thrive. View the complete list of UNESCO World Heritage Sites in Malaysia. This is such a beautiful shot of the place! I loved the caves and watch the hundreds of bats come out from the cave in the evening to search for food! Thank you for featuring this Malaysian landmark! Awesome! One of my favourite places in the world! Been there 4 times in the last 3 years too. You’ve been to so many places. I’m so jealous. i must say this photo is truly magnificent. What more if you can experience going to this heritage park!